Brandy and I took the tandem out for a short ride. 34 miles and ~1900 feet of climbing . 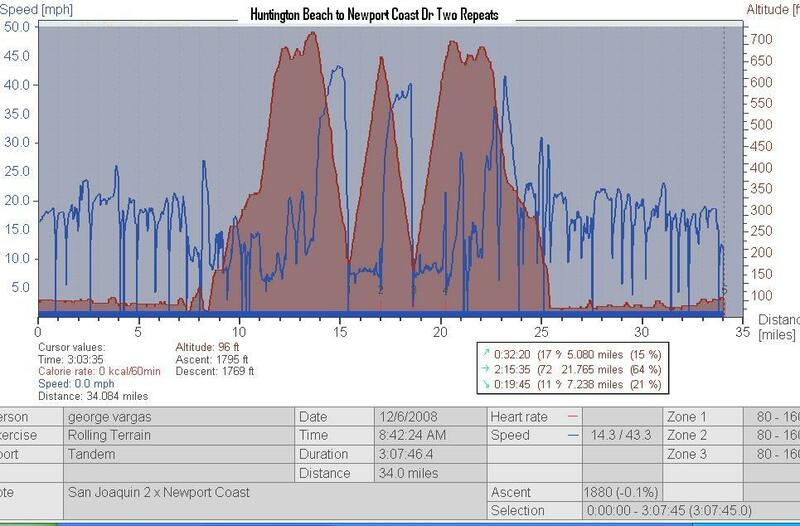 We did two repeats on a local 1.5 mile climb called Newport Coast Dr (1700 feet in 12 miles). We are new tandem riders and it was quite humbling to climb a 6% at about 8 mph. 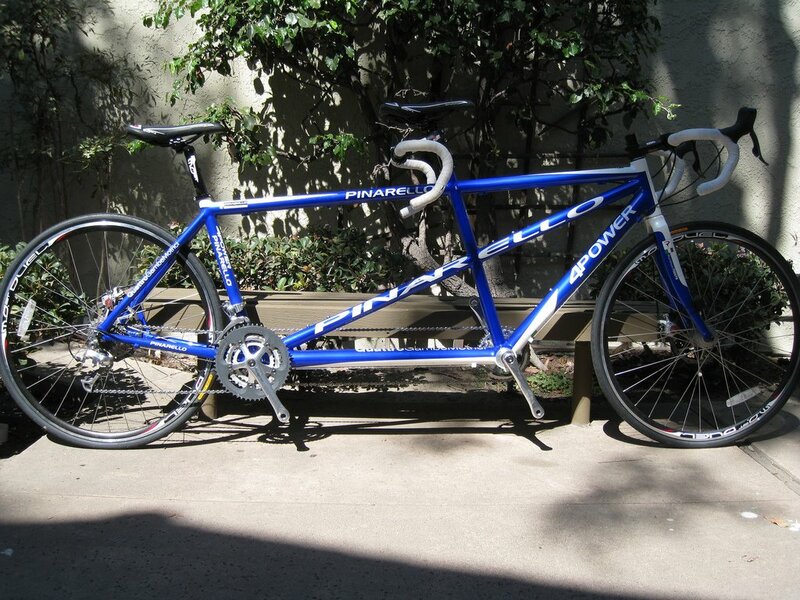 When I got home I realized that the 34 miles on the tandem felt harder than when I do the same route by myself. I found that interesting. Interesting because we plan on doing our first century on the bike the x-mas holiday and our first Ultra on January 3rd, the San Diego 200km Brevet. You can also find information on the event website here. This entry was posted in brevets, tandem, Training by REV Cycling Directeur Sportif. Bookmark the permalink.